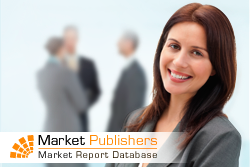 New research study “Antibody Partnering Terms and Agreements” worked out by CurrentPartnering has been recently published by Market Publishers Ltd.
What are the precise antibody rights granted or optioned? What is actually granted by the agreement to the partner company? What exclusivity is granted? What is the payment structure for the deal? How are sales and payments audited? What is the deal term? How are the key terms of the agreement defined? How are IPRs handled and owned? Who is responsible for commercialization? Who is responsible for development, supply, and manufacture? How is confidentiality and publication managed? How are disputes to be resolved? Under what conditions can the deal be terminated? What happens when there is a change of ownership? What sublicensing and subcontracting provisions have been agreed? Which boilerplate clauses does the company insist upon? Which boilerplate clauses appear to differ from partner to partner or deal type to deal type? Which jurisdiction does the company insist upon for agreement law? The answers to all these crucial questions and many more are available in the research study. The available deals are listed by: company A-Z; headline value; stage of development at signing; deal component type; specific therapy target; and specific antibody type.